Allows easy access to all buttons and ports.The silicone skin is lightweight, easy to attach and remove. This durable skin provides reliable and flexible protection for your notstrØm. The cover is fitted exactly on your notstrØm. For this reason, you can still use it without limitations in usability. The skin has perfect notches for all ports and buttons and shows you the LED charge status of notstrØm anytime. The mounting of this skin is done easily. You are able to remove the skin without much effort. 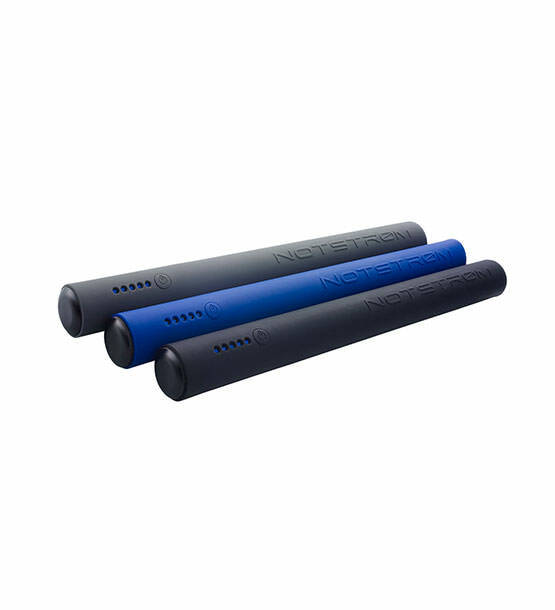 The skin consists of silicone which provides many advantages for your notstrØm. For example it makes the skin slip-proof, very thin and elastic and furthermore extremely durable. Because of that your notstrØm is safe from getting scratches and damages. Please remove the rubber strips from the bike holder before inserting your notstrØm with the protection skin.